We raved about the 2012 vintage – so much so it sold out – and guess what, the 2013 Vintage doesn’t disappoint either. Perfect for a long afternoon in the sun or shade, this is summer sipping at it’s best. A bright translucent colour reveals a delicate, refreshing floral palate, whiff of an HB Brunch and lovely swallow. Dear in O’Briens at €14.99 a bottle. We got this on a buy one, get one half price deal, so €11.25 a bottle. Sold out again I believe. 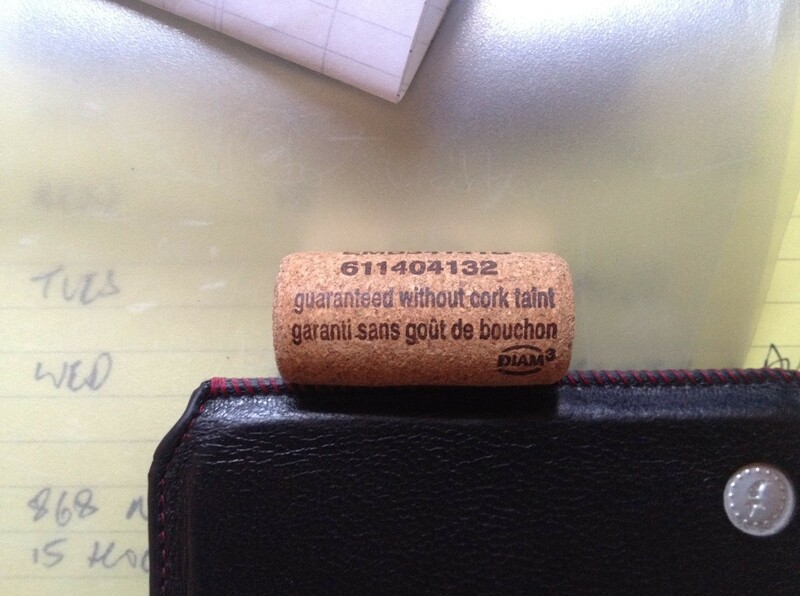 Hobby Horse Footnote: L’Ostal Cazes, like many other big producers must have considered investing in a Stelcap line so it was good to see that they have a proper cork closure – below – from DIAM, guaranteed free of TCA, an investment in good wine tradition; ceremony, presentation and standards. Rant over.